This week: the Empire State Building puts on another LED show, MIT students say LEDs are a failure mode for Mars One, and another $10 million for SSL research from the DOE. The US Department of Energy has announced the availability of up to $10 million in funding to advance core technology research, product development, and/or US manufacturing of SSL products. Up to 10 grants will be awarded. A free webinar will be held Friday, Oct. 24. Concept papers are due by mid-November, and final submissions are due in mid-January. Funding opportunity DE-FOA-0001171 is described here. Researchers at Rutgers University have published a paper in the Journal of the American Chemical Society (abstract here) that holds out hope for relief on one price front in the production of solid-state lighting. They have developed a family of inorganic-organic phosphors based on I-VII binary semiconductors such as copper iodide. They contain no rare-earth materials. The phosphors in common use now rely on cerium-doped yttrium aluminum garnet (YAG), incorporating two rare earths. It will be interesting to see whether phosphors based on this research get patent protection. If so, any economies in manufacturing are likely to be a long time in coming. Last year, we wrote about the Halloween show the ESB put on, coordinated with publicly broadcast music. This year's show will commence at 8:30 p.m. on Friday, Oct. 31. The show is again being choreographed by the lighting designer Marc Brickman. It will be available on the ESB's YouTube channel immediately after it concludes. An MIT aeronautical engineering team has performed an independent feasibility study of the Mars One project proposed by a group based in the Netherlands. Mars One's promoters claim their goal of establishing a permanent colony on Mars by 2025 is feasible with current technology, but the MIT researchers beg to differ. They identified several areas where new technology needs to be developed and/or adapted to space conditions. "We're not saying, black and white, Mars One is infeasible," MIT professor of aeronautics and astronautics engineering systems Olivier de Weck said in a post on the school's website. "But we do think it's not really feasible under the assumptions they've made." The team developed a software tool to analyze off-planet missions from a systems perspective. One of the big holes they found in the Mars One plans involves the supply of food. 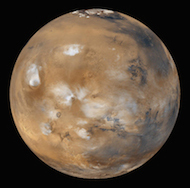 Mars One intends to mix hydroponic growing areas in among the living quarters. The MIT team found that this would soon lead to unsupportable living conditions. They then analyzed options involving separate growing areas, and they found that the 875 LED lights among the hydroponic stacks would need to be refreshed with spare parts, due to their limited lifespan. (The sunlight at Mars isn't strong enough to grow Earth plants.) The upshot of all these analyses was that the cheapest option for feeding the colony would be to ship food from Earth, rather than trying to grow it locally. Here is the MIT group's full report, which was recently presented at an astronautics conference in Toronto.